released in Feb 2018. Dynasty Warriors takes an open world approach. Some likes it, some don't. PM opportunity with BB (69.99) - PM for $29.29 YMMV. Price has been decreasing over the past couple months. Might want to wait it out. Reviews have been pretty bad. A user review score of 4 on Metacritic for the PS4 version is shocking to me. I feel like user scores are low because it's very different from what we know as "Dynasty Warriors", even though it may actually just be a pretty average game. I was all worried this was DW8 for a second. Thought the better one might have gone cheap. Seems Amazon is really ready to start screwing with people on prices. They collected enough markets that they're turning the bonus discounts for prime, into standard discounts you can only access with prime. Bait and switch, because it's easier to keep a subscription than get new ones. Last edited by Ter350056 on May 9th, 2018 6:53 pm, edited 1 time in total. If you have an XBone or PC, than you're fine. This game will see sales across all platforms soon enough. Holy they still make this game. 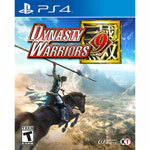 As a big fan of the dynasty warriors franchise, this game is a huge letdown. The open world concept was so poorly designed... it feels like they just added a ton of a dead space in the game just so they could say it was "open world". There isn't anything exciting or interesting to do in the open world, other than waste time going to another quest or mission. It feels more like a chore travelling through it than actually making you want to go and explore. Combat wise, they have somehow made it feel incredibly hollow. I don't get any satisfaction from destroying huge waves of enemies like in previous games. It just seems like something is off with how the hits register on enemies that you don't get a satisfying slash or hit on them, Also, they made a concerted effort to get rid of a lot of the unique weapons that certain characters had which made them what they are. The graphics also look dull and muddy, it's not something that you play the dynasty warriors games for, but it was more noticeable in this release for me. The lack of multiplayer is also a stupid omission... no local or online... makes no sense why they chose to do that other than being lazy. Overall, I wouldn't recommend paying for this type of game at all. Save your money for God of War if you haven't played it yet or Red Dead 2 when that comes out.